Middle East Perspectives by Rick Francona: Yemen - State sponsor of terrorism? Last week, Jabr al-Banah waltzed into a courtroom in Sana', Yemen, made a brief appearance and departed. This is outrageous - al-Banah is American citizen wanted by American authorities for terrorist activities - he is one of the so-called "Lackawanna Six." 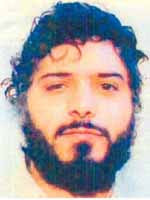 Jabr al-Banah is on the FBI's Most Wanted Terrorists list - there is a $5 million reward for information leading to al-Banah's capture. The total lack of Yemeni government cooperation in American efforts to hold al-Banah accountable calls into question whether or not Yemen is actually a state sponsor of terrorism. For years, many Middle East specialists - me included - have been critical and skeptical of Yemen's stated support for America's "global war on terror." For whatever reason, U.S. military officers and diplomats believe that Yemen is a friend of the United States, a belief that goes back over two decades. In the late 1980's, the U.S. Central Command, the organization responsible for military operations in the Middle East, wanted to establish a headquarters on the ground in the region. Because no Arab countries wanted an American military presence in their countries, CENTCOM was (and is) headquartered at MacDill Air Force Base in Tampa, Florida. Their hopes to set up a headquarters in Yemen were brought to a screeching halt by Yemeni President 'Ali 'Abdullah Salih's support for Saddam Husayn following Iraq's invasion of Kuwait in August 1990. Yemen had been a favorite of CENTCOM as far back as the early 1980s. At that time, there were two Yemens - the Yemen Arab Republic (North Yemen) friendly to the United States, and the People's Democratic Republic of Yemen (South Yemen), a virtual Soviet client state. 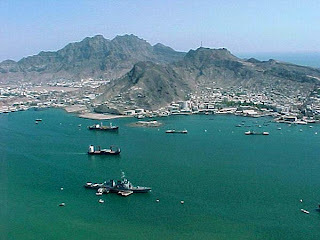 South Yemen hosted a large Soviet advisory contingent and allowed the Soviet Navy to use the excellent port facility at Aden. The two Yemens united in May of 1990 - Salih stayed on as the leader of the newly united Republic of Yemen. After the Gulf War, there was a renewal of friendly relations between Yemen and the United States. American senior military officers, including every CENTCOM commander, renewed their repeated visits to the country. Small numbers of U.S. troops were sent to Yemen to train Yemeni forces in land mine removal, and assist the Yemeni navy to establish a coast guard. According to the Yemeni media, senior American officers routinely requested President Salih's permission to establish a military base in Yemen, probably on the island of Socotra. The United States denied this, but conceded that there are plans to increase military cooperation between the two countries. 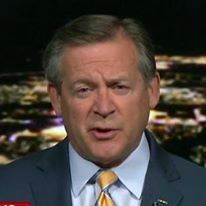 Much of this concern was borne later that year with the October 12 attack on the USS Cole while refueling in the port of Aden. Given what we knew and the ambassador's analysis, why was the ship in Yemen at all? After the attack, former CENTCOM commander, retired Marine General Anthony Zinni, testified before Congressional committees that he had made the decision a few years earlier to use the Yemeni port for refueling U.S. Navy ships. Zinni stated that he was presented only with poor choices of refueling locations. This statement flies in the face of conventional wisdom - there are numerous safer refueling locations in the region - Abu Dhabi, Jebel Ali, Dubai, Fujayrah, and Muscat come to mind. When you add the fact that this particular ship had a range in excess of 4000 miles, the claim of the requirement to refuel in Aden loses credibility. Although there is no doubt about the need to use more foreign ports due to cutbacks in military spending and the resultant loss of refueling ships to support underway replenishments, the USS Cole issue has more to do with politics than with logistics. The ship visits – including that of the USS Cole – to Aden were more of a misguided CENTCOM effort to show the flag and build the bilateral U.S.-Yemeni relationship than a valid logistical requirement. Of course, political expediency and military prudence do not always go hand in hand. It was a bad decision, one for which Zinni has never taken responsibility. After the attacks of September 11, 2001, Yemen claimed to support America's global war on terror. Although the Yemenis did arrest some al-Qa'idah members in the country, they did not seem to have their hearts in it. For example, in February 2006, 23 al-Qa'idah prisoners escaped from a maximum security prison by tunneling from the prison to the women's room of a mosque located hundreds of feet outside the prison compound. The imam at the mosque claimed that his warnings that something was going on under the mosque were ignored. In fact, the prison was unaware that the prisoners were missing until the imam notified the government that he had discovered a tunnel exit in the mosque. Included in the 23 escapees were Jamal al-Badawi, mastermind 2000 attack on the USS Cole, and Jabr al-Banah. This "escape" raises many questionst - 23 prisoners in a maximum security compound in the capital city of Sana' were able to dig a tunnel and escape undetected until someone outside the facility told the authorities about it? Hard to believe. Another example of Yemen's lack of commitment came in July 2006. A Yemeni court acquitted 19 suspected al-Qa'idah members, some of whom had confessed to fighting American troops in Iraq. According to the judge, going to Iraq and joining the al-Qa'idah in Iraq organization and killing Americans does not violate Yemeni law. He went on to state that "Islamic shari'a law permits jihad against occupiers." These are our allies? Back to American citizen Jabr al-Banah's court appearance last week. He is charged not only with the jailbreak in 2006, but a series of attacks on oil facilities in Yemen. He was not in custody, apparently allowed to roam free around the country. He showed up with a personal security detail, spoke to the judge and was allowed to depart. Yemeni police arrested him in 2004, but refused to extradite him to the United States. I would have liked to hear the conversation between the al-Banah and the judge, an official of one of the most corrupt governments on the planet.